ANN ARBOR, Mich. - Saturday was a testament to how far the Michigan basketball program has come under John Beilein. Though Michigan's 17-game winning streak came to an end hours before it would have become the last undefeated team in the country, and it missed on an opportunity to move up to No. 1 in the AP poll, the loss at Wisconsin shouldn't create any panic in Ann Arbor. 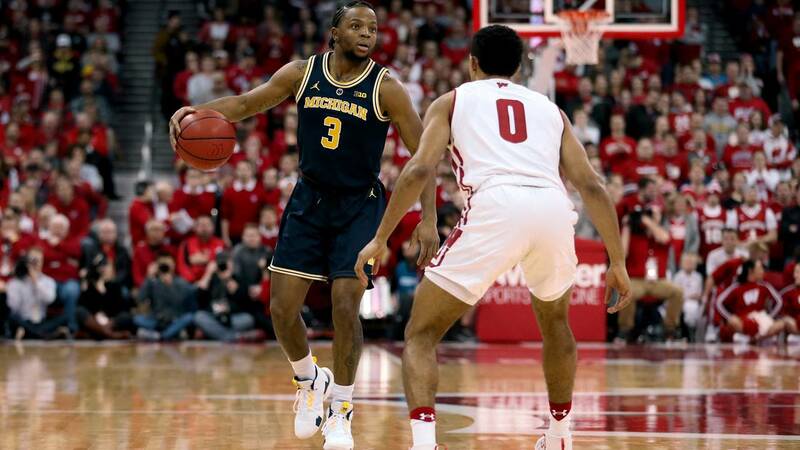 Not long ago, a Michigan loss wouldn't have warranted national attention in the college basketball world, and certainly wouldn't have resulted in Wisconsin fans storming the court after a home win in January. The loss will sting for a Michigan team that has only felt defeat twice in the last 33 games, but as long as it doesn't turn into a losing streak, few will remember what happened Jan. 19 by the end of the season. No. 2 Michigan went into Wisconsin as a slight favorite against a team desperate to add a quality win to its resume. 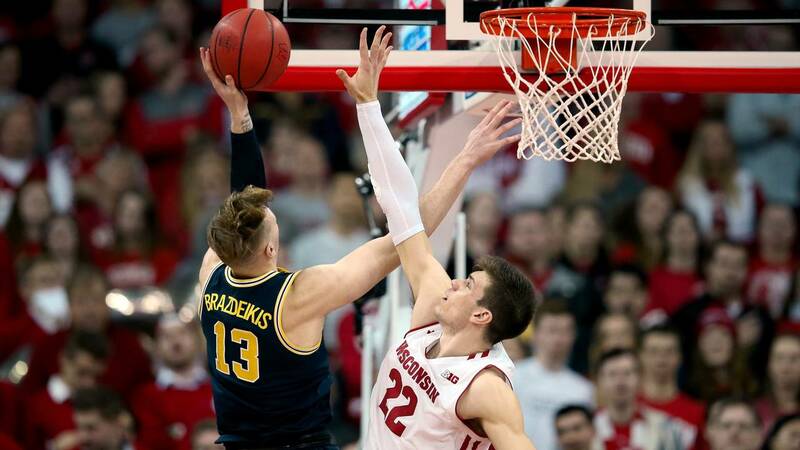 The Wolverines traded blows with the Badgers for 39 minutes. It was an intentional foul and a pair of buckets with the game already decided that ballooned the final margin to 10. 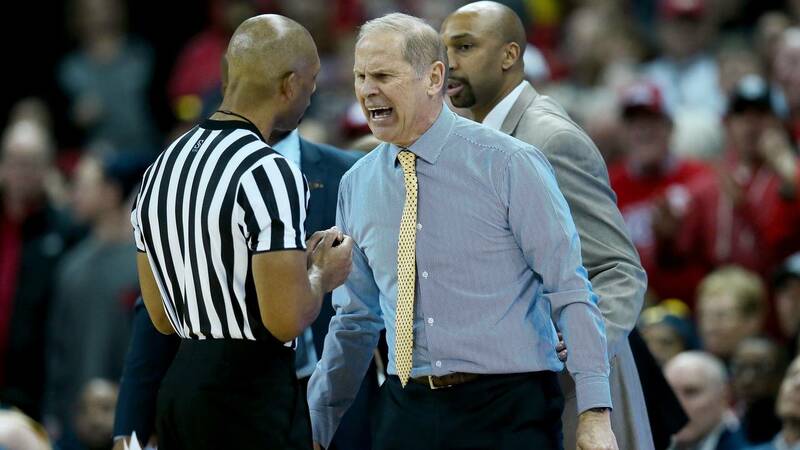 As good as Beilein's team has been, it was never going to go undefeated in this version of the Big Ten. There are 10 potential NCAA Tournament teams and at least five teams that could end up with top four seeds. Michigan's final 14 games feature 12 matchups with NCAA Tournament hopefuls, which means it will be like trying to get to the Final Four twice in the final six weeks. That stretch started with a loss, but now the Wolverines have to respond. Most importantly, the team's two leading scorers need to respond. Ignas Brazdeikis looked like a true freshman for the first time this weekend, boasting about Michigan being better than Duke and then scoring zero points in 23 minutes in his first college loss. It could very well be the only time in Brazdeikis' college career that he drops a goose egg, but he needs to make sure that performance was an anomaly, not the start of a slump. In the freshman's other lowest scoring output of the season -- a four-point effort against Western Michigan -- the team struggled to beat a massive underdog. Michigan needs Brazdeikis to be a threat on offense, even if the 3-point shots aren't falling (two for 13 from beyond the arc in his last five games). Charles Matthews also struggled, finishing with just five points and three rebounds to go with two fouls and three turnovers. It's no coincidence that Michigan's first loss came the first time Brazdeikis and Matthews both scored under 10 points. Brazdeikis had previously only been held under double-digits twice -- and Matthews only five times -- so this just looks like one bad offensive showing. Michigan did fall a game behind Michigan State in the Big Ten standings, and that's the one area where this loss could hurt. MSU has already survived two such road tests at Ohio State and Nebraska, so Michigan will need to make up a game somewhere along the line. In terms of Michigan's goal to return to another Final Four, an off-day in Madison is just a small bump in the road.